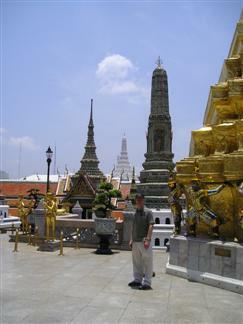 Wat Phra Kaew is located in the grounds of the Grand Palace and is the most significant temple in Thailand. 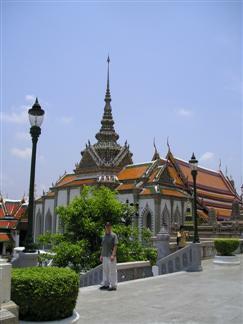 The grounds of the Grand Palace are surrounded by walls built in 1783 and has a total area of 218,000 square metres. 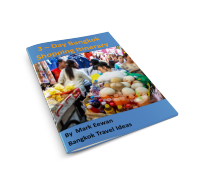 This famous Thailand Buddhist temple is on the itinerary of every tourist to Bangkok and you can visit from 8:30am to 3:15pm each day. 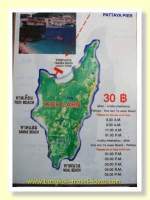 The entrance fee is around 400 Baht for foreigners and free if you are a Thai resident. There are guided tours at 10:00am, 10:30am and 1:30pm, 2:30pm. Ensure you follow the dress standards referred to earlier, or you will be refused entry and have to hire some suitable clothes from the nearby shop. 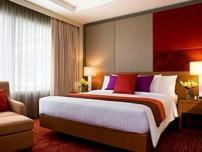 The entry price includes an admission ticket to Vimanmek mansion that is to be used within seven days. Vimanmek is the largest teak palace in the world and is well worth adding to your tour list. 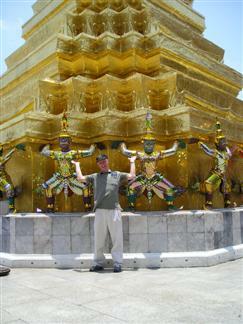 First you will visit the many buildings in the grounds of the Temple, including the compound housing the mural of the Ramakien. 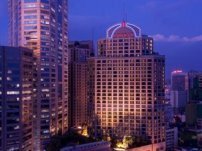 If you are at all interested in photography, then this Thailand Buddhist temple is a photographer's dream The golden spires the glass mosaics applied to the buildings and the range of building styles will all give ample opportunity to catch the perfect photograph. 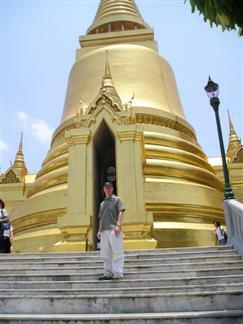 Wat Phra Kaew is also called the Temple of the Emerald Buddha because of the jade buddha image located there. You are not allowed to take photographs of the Emerald Buddha inside this part of the temple but you can buy postcard size pictures at the small shop later on. 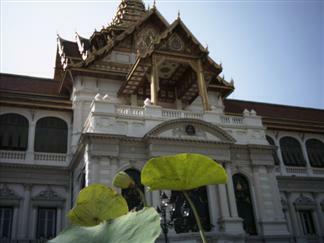 Head to the Grand Palace after you have toured the grounds and the Temple of the Emerald Buddha, it is just a short walk away. 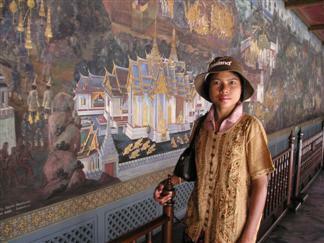 It always seems hot when visiting the Grand Palace. I think it is because of all the reflective surfaces and all the concrete structures so take it easy and don't over exert yourself. You will need to drink plenty of water as you go around, or risk getting dehydrated, particularly if you just flew in the day before.